Pears are kind of gorgeous, no? They’re also delicious. In fact, they were the only fruit besides bananas that I would eat when I was a kid. Thankfully I’ve evolved since then to love almost every other fruit in existence. Fruit: It’s like nature’s candy. While pears are delicious all on their own, they’re even better browned in a little butter and brown sugar. This makes them tender and gives them a nice sweet, caramelized flavor. Then come the oats! So simple and hearty and delicious and absolutely perfect for cold temps. Personally, few things sound more satisfying to me than a warm bowl of steel cut oats on chilly fall or winter morning. 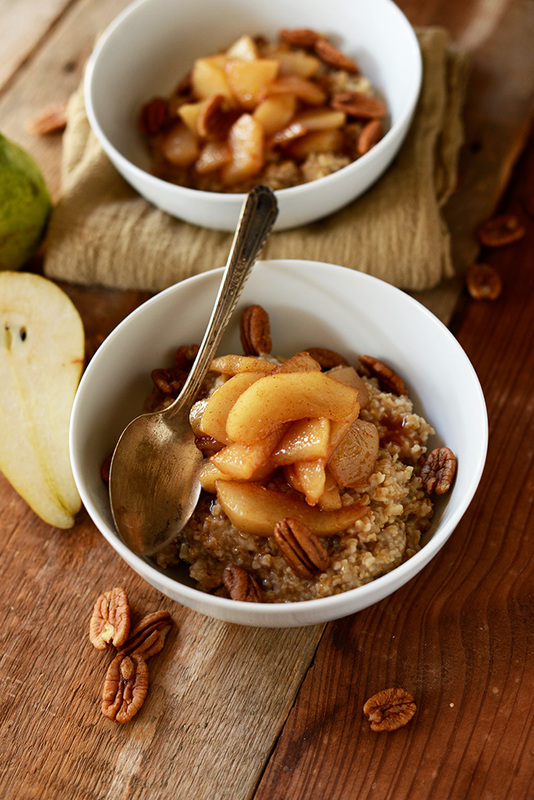 Topped with a layer of brown sugar pears and pecans? Perfection. Not only is this recipe simple and quick – requiring just 20 minutes from start to finish – it’s also customizable. If you’re not into steel cut oats, sub another grain like rolled oats, quinoa or millet. And if pears aren’t your thing, sub apples or even blueberries. Make this bowl your own and enjoy it often this winter. Cheers! 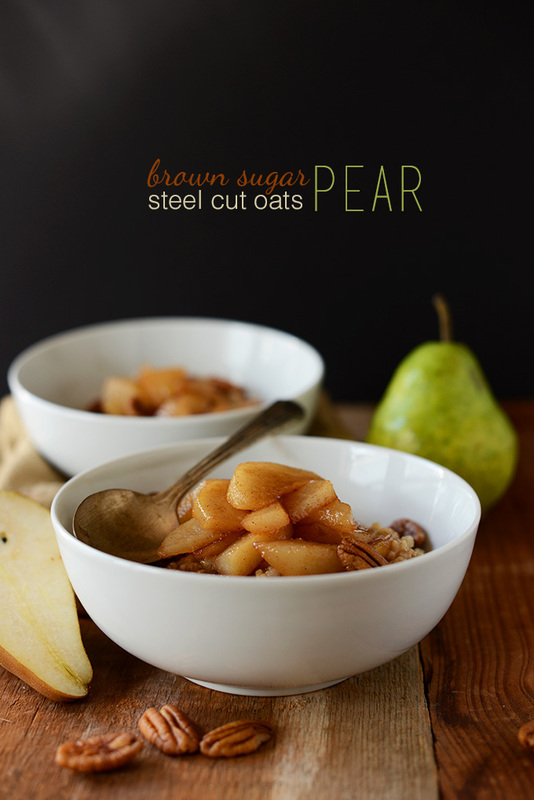 Warm steel-cut oats with brown sugar pears and pecans. A simple vegan breakfast with full servings of fruit, fiber, and protein. Start your oats by bringing water to a boil in a small saucepan. Once boiling add a pinch of salt and then your oats. Swirl to coat then cover and turn heat to low. Cook for 15 minutes or until the water is absorbed and the oats are tender. In the meantime, prepare your pears. Heat a medium saucepan over medium heat. Once hot, add olive oil or butter. Once bubbling, add brown sugar and stir. Then immediately add in pears, lemon juice and cinnamon and stir to coat. Cover to steam and soften the pears and cook for 10 or so minutes or until tender and golden brown. Once tender, remove the lid to allow them to caramelize a bit more. Remove from heat. 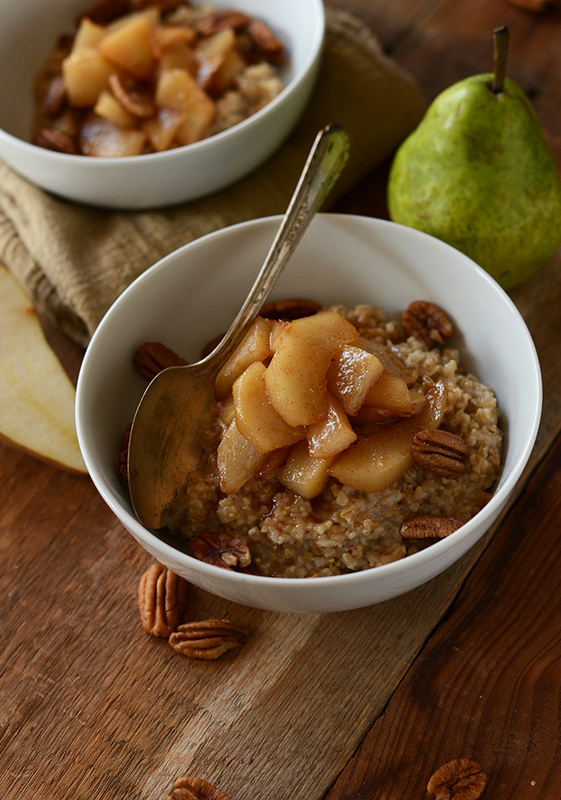 Divide oats between two bowls (as original recipe is written) and top with equal servings of pears. I also added a few pecans, which added a nice crunch and more protein. 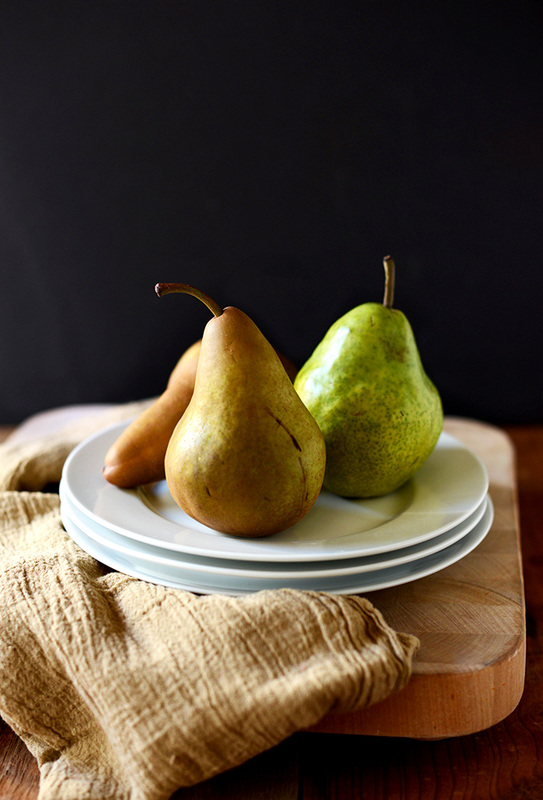 *For the pears: Any firm pear will do, but Bosc pears are rumored to be best for baking and caramelizing. *Nutrition information is a rough estimate calculated without pecans. *It's recommended to cook steel-cut oats for up to 25 minutes, but I prefer mine a little chewy and only cook them for 15 minutes once I've added them to the boiling water. If you prefer softer oats, continue cooking until the 20- to 25-minute mark. My can of oats says to cook in 4 cups of water and keep overnight- how much water should we boil for 3/4c? This is just heavenly! I made it this morning for visiting family, and it was a delicious hit. I threw in some almonds as well, and served it with mugs of your new golden milk recipe. Thank you! This recipe is now several years old. I assume (from other places in your blog) that if you have the time you would soak the steel-cut oats first, like overnight? The pears sound delicious, especially since I am discovering this in the Fall. Delicious! I used 2 tablespoons of coconut sugar, but next time I am going to try it with only 1 to make it a little healthier. Thanks! Delicious! I had 3 bosc pears to use up and was looking for a breakfast recipe. I had everything else on hand (except pecans?) so this was perfect to try. Definitely a keeper! Usually I do a milk/water mix with the oats but not needed here as the sweetness of the pears worked well with the plain-ness of the oats. Yay! Thanks for sharing your changes, Cindy! 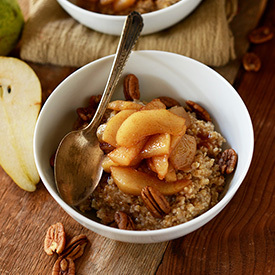 This looks incredible, and easy to make ahead of time for busy mornings; let the oats sit overnight and prepare the pears the night before, then top in the morning and reheat. I will add a touch of cardamom to the spices. Pinned, made, and decided this is one our favorite oatmeal recipes ever! I used almond milk and topped w/toasted pecans. So delicious! You can just use water! This sounds great – I never thought of pears in oatmeal – I love oatmeal year round – blueberries, strawberries and banana, but will try the harder fruit now! 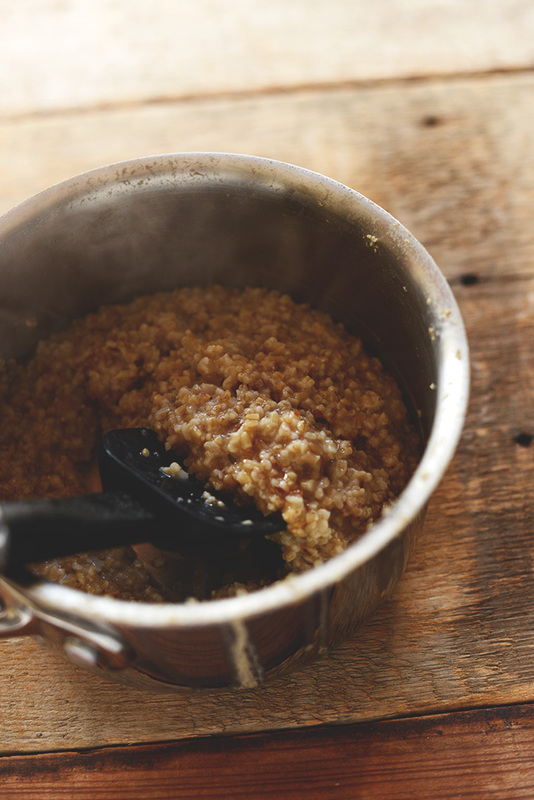 Cinnamon and crushed walnuts – maple syrup works nice too! I’ve just discovered ground cardamom in my oats, and it is fabulous! Would be so nice with these pears!!! Love it! Thanks for sharing, Leisha! I have a question about the White Rice Flour, before it had white rice starch on it. How am I suppose to know if this is the same product I am used to using in my bread recipe. If it is just flour it will not work. I have been on this site for over an hour and I do not see where to send questions to. I am not happy!!! Ione Friend. So yummy and flavorful!! I was looking for a way to use up some pears before they went bad and am so glad I found this recipe. I used one pear and less butter and brown sugar, and it was still packed with tons of flavor. I also chopped up the pear into smaller bits which allowed it to go further when stirred into the oatmeal, so I got yummy goodness in every bite. This just might be my favorite way to eat oatmeal!!!! I can’t wait to try this recipe!!! I am totally obsessed with pears and this sounds delicious and healthy. Your blog and pictures are amazing. Keep up the great work. My new favorite breakfast. It’s so tasty, and I like that the fruit can be changed easily. Pears and apples worked great. I can’t wait to try blueberries. I’ve even added a little corriander to the mixture. I also like that if I have leftovers, they warm up nicely the next morning. Thanks for a great recipe. Coriander or cardamom????? Can’t imagine this with coriander. Your photos are beautiful! I tried to photograph porridge a couple of weeks ago and found it impossible! this recipe sounds delicious I love the sound of the different textures (and flavours) of the pears and oats together. Stephanie, I think you could though I haven’t tried it myself. If you made a big batch they’d keep in the fridge for several days. Then just reheat with almond milk or more water in the microwave. And store the pears separate :D Hope that helps! I make big batches then use my vacuum sealer to bag the leftovers. Then I freeze those and take out one bag each week. It would last months, but I eat w/ in weeks. Ooh this looks amazing- perfect for a cold weather day here in DC! Yum! This sounds super great! Btw your pics for this post are super amazing! Sounds like a perfect breakfast for all of the cold Winter mornings ahead! Looks beautiful! But how are you cooking steel cut oats un 10 minutes?? Every carton I’ve ever bought has suggested 25-30. Good question! I just like mine kind of chewy! And really, I’ve been cooking oats most mornings for a while now and have found that at most they take 15 minutes once your water is boiling. BUT, if you prefer them softer definitely continue cooking until the 20-25 minute mark. I’ll add that in the notes! Ha! I just found and purchased quick cook steel cut oats, you only have to boil for 5 minutes! I can’t really get used to the texture versus whole oats though. Absolutely delicious, love me some pear anything! Just made this for breakfast and it is SO good! I used apples instead of pears as I didn’t have any but it’s still delicious. And very filling too! This looks so lovely and homey. I am a nut for oatmeal but I do need to delve into the steel cut kind! This breakfast looks beautiful and delicious. Thanks so much for sharing, I’m always looking for new toppings for my steel cut oats. Mm, fantastic. I have some poached pears that I made a few weeks ago that are frozen in my fridge — I may have just found a use for them. Thanks so much for posting this! Im not usually a fan of oats, but your beautiful photography and those slightly caramelised pears are wanting me to try this. Totally agree, pears ARE gorgeous! And so is this oatmeal! These bowls are so perfect for fall. Cold temperatures really make you crave warm winter fruit and oats. This recipe is so beautifully done. Sounds wonderful for a chilly morning! This looks amazing. I might just need to run to the store and pick up some pears! Perfect for fall. 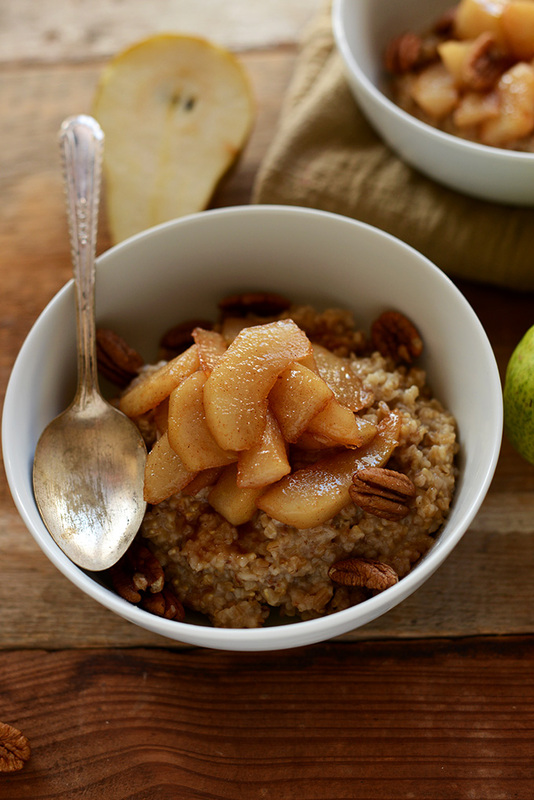 I will definitely be trying this soon – a great change from my usual apple or banana oatmeal. I love pears! Just ,add this for breakfast this morning with rolled oats! I think I like the texture of steel cut oats better but it was still so tasty and indulgent. Thanks for sharing! Gahhh! This looks so good. I always cheat and use quick oats, but I know I have steel cut somewhere in my pantry. Now I have a reason to go find them – thanks for sharing! 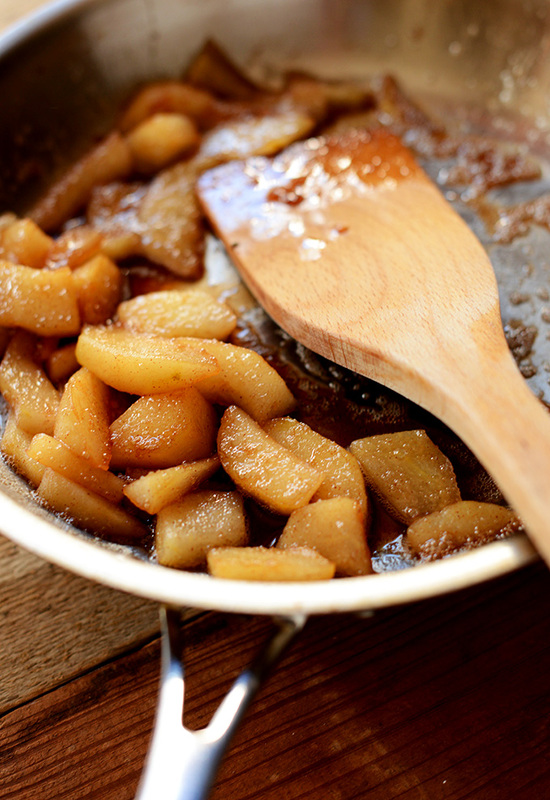 brown sugar with pear sounds heavenly. I’ve never really known, so excuse the ignorance, but what’s the difference between steel cut oats and rolled oats? & do you generally prefer steel cut?